Comment: So you think that navigation systems are lost? Someone told me that someone had told him that someone’s friend knows someone who works in satellite navigation systems. I assume that means he works on them, unless he’s one of the little people that lives inside them and does the voice commands. But probably not, because this person was saying that the navigation industry – that is, the industry that makes standalone portable satellite navigation units (SNUs) – is making a big U-turn into oblivion. With a bit of cursory thought it makes perfect sense: most smartphones today have access to a brilliant maps and free apps, and everyone and their nan has a smartphone now, so why bother shelling out a few hundred pounds for a unit that does the same thing? Armed with this assumption, I contacted all manner of retailers and navigation companies: John Lewis, Argos, Halfords, Amazon, Garmin and TomTom, to name them all. All bar one of them either ignored me completely or politely asked me to turn right into Get Lost Village. In fairness to them, it’s perhaps little surprise they did that when the request was, roughly, "can you help me explain why your sales are tanking, thank you please?" But the silence confirmed the suspicion that, indeed, the friend of a friend of a friend in the first paragraph was correct: satellite navigation systems are becoming obsolete. TomTom’s Tom is Tom Brown, TomTom’s UK Vice President. Now, this is no puff piece for TomTom (other SNUs are available), but as Tom was the only person willing to speak to us, TomTom has the floor. Much like it does in the UK sat nav market, which the company has a 60 per cent share of. And as it turns out, that’s six-tenths of the current fifth biggest consumer electrical market in the UK – and one that's doing an Alan Partridge. It's bouncing back. Here’s why: “there are round about 32, 33 million cars on the road [in the UK], and at the moment not all cars come with built-in navigation - it still tends to be the more premium cars - so actually there are tens of millions of cars out there that don’t have built-in navigation,” says Tom. And according to a survey TomTom undertook of its existing owners, 84 per cent said they’d buy another SNU rather than use a smartphone when it came to replacing their old one. Now of course, this was a survey among presumably very happy TomTom owners, but the company believes that far from killing off the navigation unit, smartphone use has forced manufacturers like TomTom to up their game: in short, navigation units are cheaper and better than ever before, integrating with smartphones rather than necessarily working against them. 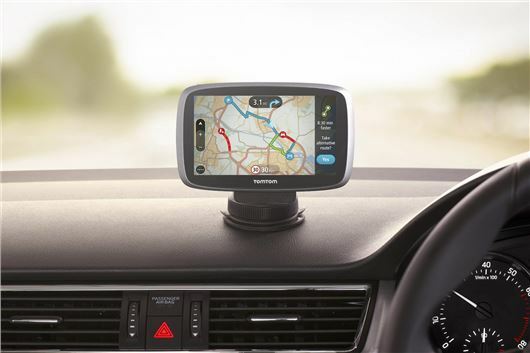 TomTom's latest SNU, for example, lets you set your forthcoming destination on your phone while sat in front of the telly, then send it to your SNU rather than fiddling around when you get into the car. Not life-altering stuff, but quite nifty all the same. Obviously the same goes with televisions, laptops, games consoles and pretty much anything that’s technology-driven, so despite the natural hint of self-service in that statement, it does echo true. “If you go back to when sat navs were at their biggest in 2010, the truth is that people weren’t really using their phones for navigation, and weren’t really using built-in systems either, but now there are a lot more people using navigation, so the actual pie has got much bigger and sat navs still have a good chunk of that,” reckons Tom. In other words, more people are using navigation in general, and specialised SNUs continue to provide the best way of doing it, so folk are still buying them. It’s the reason why people still buy PlayStations, even though, again, everybody and their nan is playing Candy Crush on a mobile phone these days. So there you go. The satellite navigation unit was lost but has found its way again. The only thing we don’t really know is what its ultimate destination is. We do know it'll take the weirdest, longest route to getting there though. They always do.